O Christmas tree, o Christmas tree! 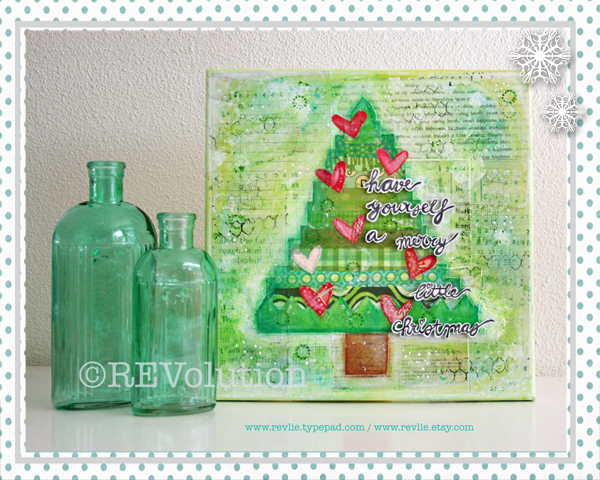 This sweet canvas by Revlie sets in the mood for joy and gives Holiday spirit. And who knows if there's already presents under the tree... So come back a bit later to see, if the elves have been on the move already! Oi kuusipuu, oi kuusipuu! Revlien kaunis canvas saa joululaulut soimaan mielessä ja virittää rauhalliseen tunnelmaan. Ja kukapa tietää, josko kuusen alta jo jotain löytyisi... Tulkaa siis takaisin illemmalla kurkkaamaan, joko tontut ovat liikkeellä! In the daytime my hub & me run our company for Secretarial Services together. And of course we chase after Sanne & Ruben trying to raise them :). In the nighttime I work on REVolution. 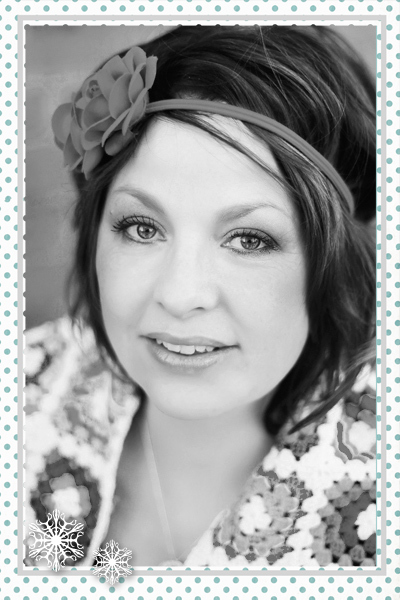 I'm working hard to become a fulltime creative business owner. And for me, with all dreams, i know i can be that fulltime artist. I'm going for it, and everyday i feel more happy about the status i'm at. Remember: you can be anything you want! "hello lovely ladies! it's time to think about christmas. my most favorite seasons of all. i love the joy. i love the smell. i love finding the best tree. i love decorating. i love the lights. i love baking cookies with my kids. i love the attention. i love the streets light up. i love drinking wine with friends. i love finding the best presents for my loved ones. there's so much to love about christmas. i certainly LOVE to give. so here's my gift to you. a christmas canvas (which you can recreate quite easily yourself :). and have yourself a merry little christmas!!" Hahaaaa... hi there Revlie!!! 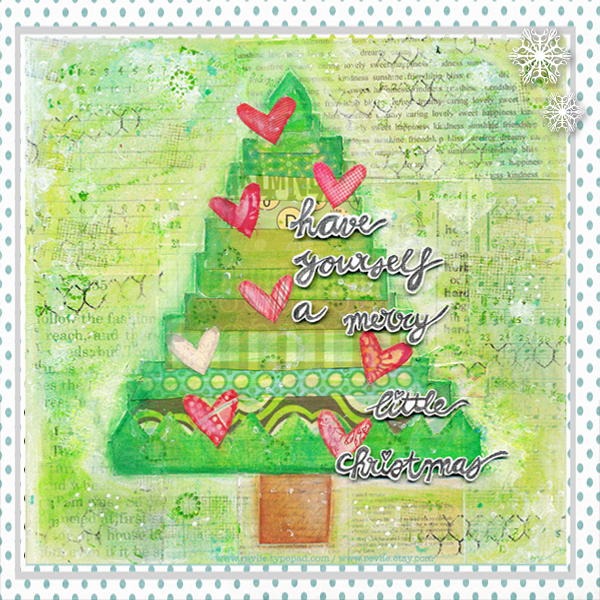 I love your Christmas canvas, it's so typically YOU! Bright colors, happy hearts and handwritten text... what could be better?!! Merry Christmas (in advance) to you too my dear! I love the bright holiday colers. Keep them coming. oh, I LOVE Revlie's style! GOrgeous! the canvas is gorgeous! thank you revlie for sharing this! Hello Revlie! So nice to see you up here! 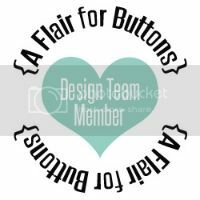 :) Gorgeous project, love it tons! 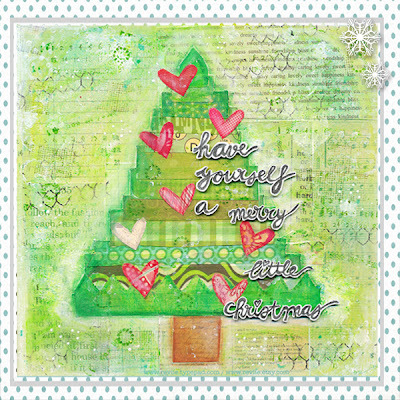 Fabulous Christmas canvas - so bright and merry!